Chris Collins and Phil Pittenger of Dulcinea's Music came together a few years ago at a local weekly jam in Gilchrist Park, Punta Gorda, Florida. Phil heard the sound of Chris playing the hammered dulcimer and thought "that dulcimer needs a guitar with it". He promptly went home to upstate NY and packed his things. He moved to Port Charlotte, pulled out his dusty guitar and started practicing. When he got the nerve to ask Chris if she'd play music with him, Dulcinea's Music was born. 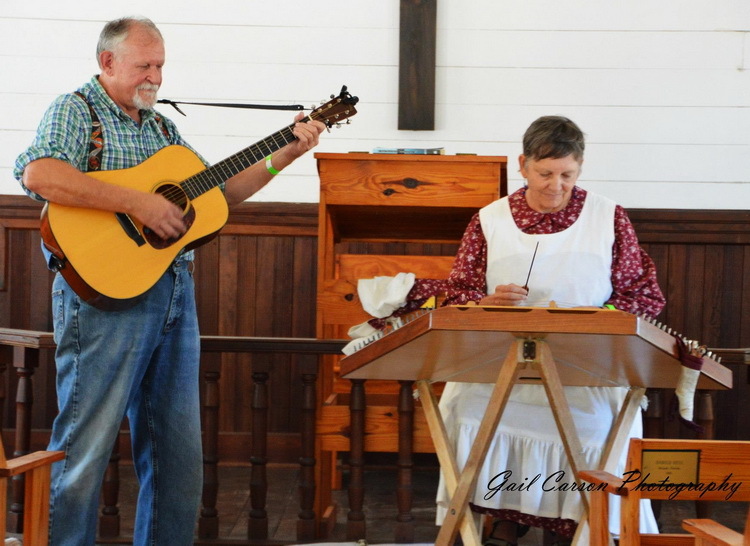 They were married in 2014, the same year they won the Southeastern Dulcimer Ensemble Competition in Mountain View, AR. They teach and perform at festivals and other venues throughout FL and the Eastern US. Chris plays and teaches hammered and mountain dulcimer and Phil plays and teaches guitar, 5-string, tenor and plectrum banjo, and mandolin.